Notice of Decision RE: Conditional Use Permit – Application No. 00-15-03 17002 415th Ave SE A2, Gold Bar, WA 98251 Please click here to review the Notice of Decision. Notice of Decision RE: Conditional Use Permit – Application No. 00-15-02 41711 State Route 2, Gold Bar, WA 98251 Please click here to review the Notice of Decision. 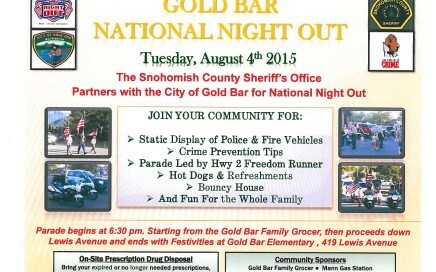 Gold Bar City Council Meeting Agenda for August 5th, 7pm in Council Chambers. Click here to view PDF.